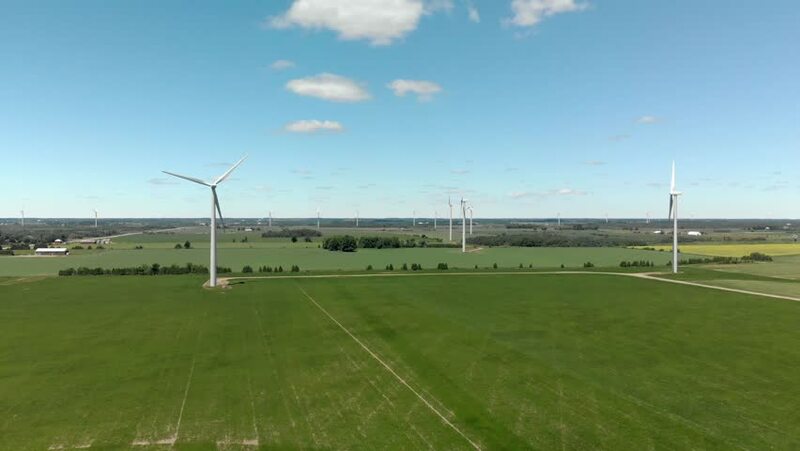 Windfarm in Melancthon Ontario, Canada. Slow aerial. 4k00:10Air panoramas of agricultural fields and wind generators producing electricity. Modern technologies for obtaining alternative wind energy. Aerial view.